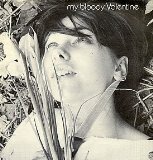 You Made Me Realise is ranked 4th best out of 9 albums by My Bloody Valentine on BestEverAlbums.com. The best album by My Bloody Valentine is Loveless which is ranked number 25 in the list of all-time albums with a total rank score of 64,540. Members who like this album also like: Loveless by My Bloody Valentine, The Queen Is Dead by The Smiths and Daydream Nation by Sonic Youth. Related links: top tracks by My Bloody Valentinetop tracks of the 1980s, top tracks of 1988. Probably too short to ever find a place on my chart. Very good EP nevertheless, and comes close to Loveless for me. A slightly more enjoyable outing than their full length album from the same year but still lightyears away from becoming the band who put out Loveless. Maybe their second best release. You can really hear the development of the style that would be used on their debut here, love it. Why is this allowed to be on the site but Feed Me With Your Kiss, Glider, and Tremolo aren't? This is good stuff, but too short to count as an album on BEA (it's less than 20 minutes).